Want to be a BibRavePro? I joined the BIBRAVE world a few months ago and have throughly enjoyed the experience this far. As you have probably read, I have tested out Luvo meals, AfterShokz Trekz Titaniums and are running the Runners World Classic in a few weeks. Overall, it is a great experience within a great running community! 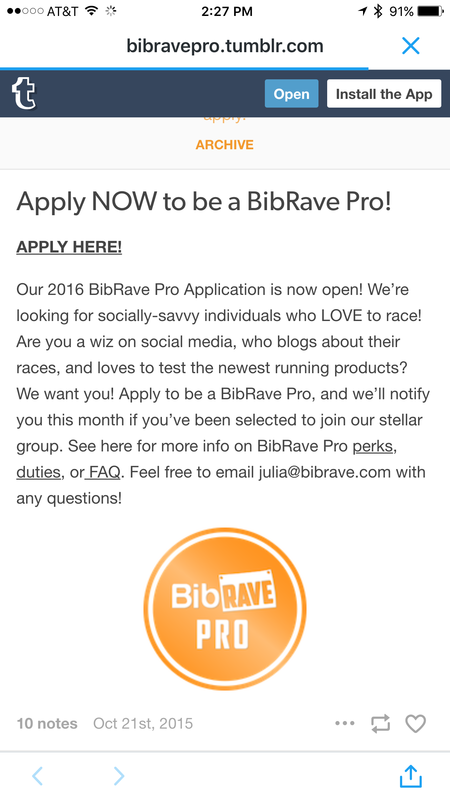 Did you know that BIBRAVE is looking for more Pro’s? Click here for more information! Previous Post Happy 4th of July Everyone! Pingback: TR: Taking it to the Max? (Or the Min) – BMac Running the World!